Hard disk esaurito ? Quali directories sono piu' invasive ? Come monitorare le dimensioni di alcune cartelle ? Uderzo ha pensato di applicare un metodo al mondo delle cartelle. Ecco alcune informazioni aggiuntive oltre al podcast. 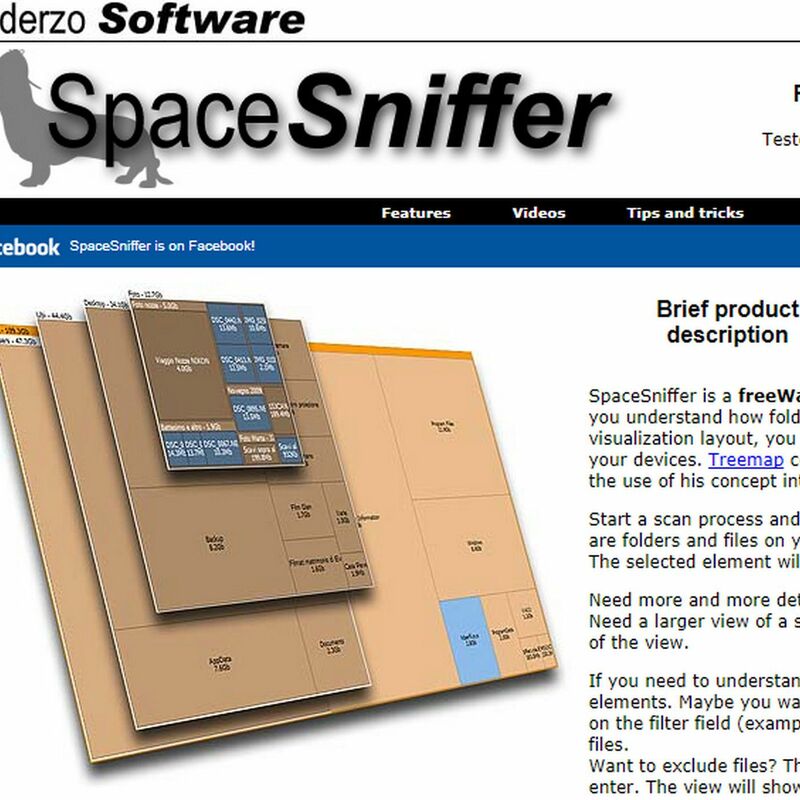 SpaceSniffer is a freeWare (donations are welcome) and portable tool application that lets you understand how folders and files are structured on your disks. By using a Treemap visualization layout, you have immediate perception of where big folders and files are placed on your devices. Treemap concept was invented by Prof. Ben Shneiderman, who kindly permitted the use of his concept into this tool. ... If you want to keep track of examined files you can tag them. Four colors are available. Just hover the mouse on a file and press CTRL+1 to tag it red. There are keys also for yellow, green and blue tagging.